Always be aware of your past because it set the base for your future. 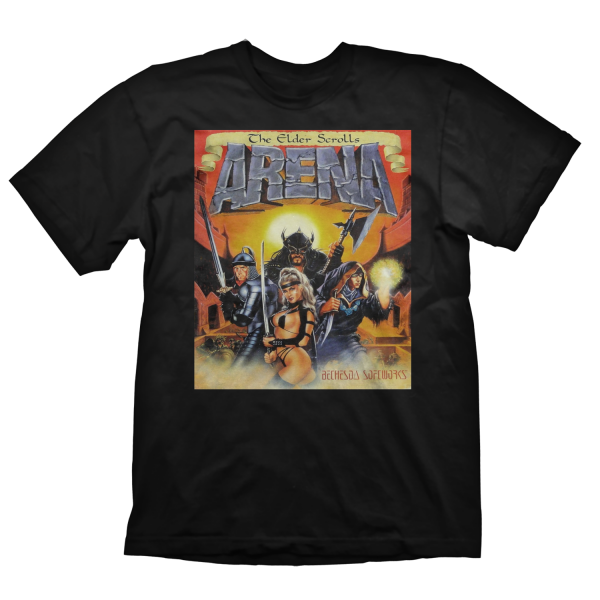 We celebrate the 25th anniversary of "The Elder Scrolls" with this throwback to the past, showing the box art of "The Elder Scrolls: Arena" as a big front print and a small anniversary logo on the neck. High quality silk screen print, 100% pre-shrunk cotton for a long lasting fit, even after being washed several times. Manufactured by Gaya Entertainment.